This year’s Boys State will be held June 6-15 at Anderson University. Once again Johnston Memorial Post 154 will send young men to this outstanding program. The annual fundraiser steak supper will be held April 6, at their Post Home at 99 Edisto Street in Johnston. A meal will be served from 5-7 p.m. consisting of rib-eye steak, baked potato, and cole slaw. Tickets can be purchased by any Legion member or at the door. You may dine in or take out. The Ladies will once again be selling homemade desserts. 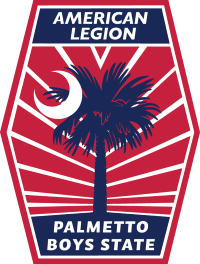 Palmetto Boys State began in South Carolina in 1940 and Johnston Memorial Post 154 began sending delegates shortly after. There have been many outstanding community, state and national leaders from this program. The Boys State teaches young men about government and politics. The greatest aspect of this program is that the participants learn by doing. Active participation in Boys State is key. Attendees will have a chance to earn scholarships and will receive college credits. Most say that it was the best day of their lives. Post 154 members ask that citizens please come out to support efforts to continue this great program. All donations towards this goal will be greatly appreciated.